Nissin Foods is a Japanese company that makes instant noodles. It was established in Japan on September 4, 1948 by Momofuku Ando as Nissin Food Products Co., Ltd. of Japan and ten years later introduced the first instant ramen noodle product, Chikin Ramen (Chicken Ramen). 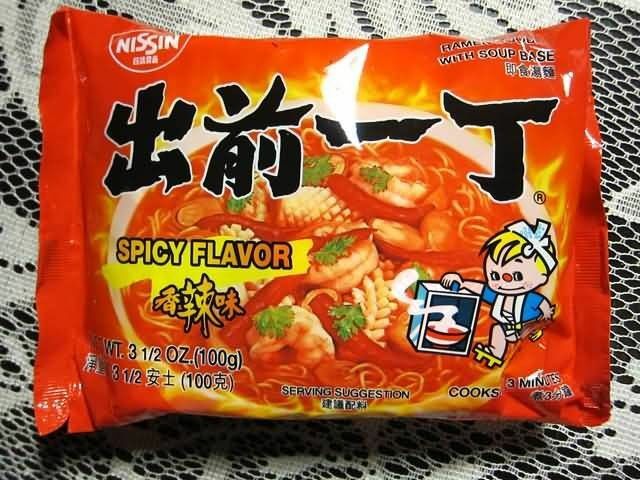 They established a US subsidiary Nissin Foods in 1970 and sold instant ramen noodle products under the name Top Ramen. Instant noodles (1958) and cup noodles (1971) were both invented by Momofuku Ando. Nissin Foods has its headquarters in Yodogawa-ku, Osaka. Nissin Top Ramen, Nissin Chikin Ramen, Nissin Cup Noodles, Doll Brand - created by Winner Food Products Limited, subsidiary of Nissin since 1984, Chow Mein, Chow Noodle, Bowl Noodles, Rich and Savory and Hot And Spicy, Spice Route Bowl and Boxes, Sichuan, Korean and Thai NuPasta Bowls and bags these are the products of Nissin Foods.